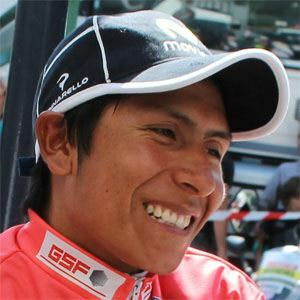 Racing cyclist who won the 2010 Tour de l'Avenir and finished second in the 2013 Tour de France after leading the mountains classification. Though his family was poor, they still bought him a mountain bike so he could make the nine-mile trek to school every day. He won the Young Riders Jersey in the 2013 Tour de France. He grew up in dire financial circumstances in Tunja, Colombia. He competed against Bradley Wiggins in several international competitions.